I walked into Jesus "Chuy" Garcia's post-election party last night just after the announcement that Garcia had conceded in the mayoral race against Rahm Emanuel. People appeared morose. But the DJ, surely under strict orders from the campaign, wouldn't stop blasting upbeat music. As I walked past a union staffer with tears in her eyes, Chicago's "Does Anybody Really Know What Time It Is?" began roaring out of the speakers. A song posing such a question was a fitting coda for the campaign of a candidate who never really seemed to know what time it was in Chicago—or if he did, he didn't seem to care. The campaign is over, and we can now say it openly: Garcia was a mediocre candidate at best, and was far from the best for Chicago’s current moment. Chicago has seen a massive upsurge in social movements, anchored by the Chicago Teachers Union (CTU) in the wake of its 2012 strike. Those movements primed the city for an unabashedly progressive and anti-austerity mayoral candidate; such a candidate never materialized, although one came tantalizingly close in the form of CTU President Karen Lewis (who was signaling she would run before being sidelined by a brain tumor). Instead we got Garcia, who steadfastly refused to draw up a bold policy program, opening himself up to easy criticisms by Emanuel that he had no real plan for the fiscal crisis facing the city. Even late in the campaign, he continued to use phrases like "shared sacrifice" (usually code words for additional austerity measures on the backs of workers) in describing how he would solve the city's budget woes. True to campaign form, Garcia’s concession speech was a tepid affair, hitting only a few progressive notes, with a nod toward the "tale of two cities" rhetoric about inequality and a passing denunciation of privatization. He spoke at greater length about the need for population growth in the city to bring it back to fiscal health, and how growth was more important to fixing the city’s finance than raising anyone’s taxes. A room full of a couple thousand union members and progressive activists desperate for a parting shot at Rahm Emanuel's pro-corporate, anti-worker governance, and Garcia launched into the beginnings of an urban planning lecture. Despite his flaws, as Ben Lorber argued last week, Garcia's campaign should not have been dismissed by the Left. Masses of activists were put in motion by the campaign; to ignore them would have been foolish. Given this, Garcia's loss and Emanuel's reelection is a real blow to the city's grassroots movements, and we shouldn't pretend otherwise. Those movements attempted to unseat an incumbent mayor and failed. That loss, coupled with the effects of what will likely be another four years of brutal neoliberal governance—more privatization, more attacks on unions, more defunding public institutions while funneling public resources to the already wealthy—may discourage and demobilize union and community activists, some perhaps permanently. All that said, Chicago's grassroots movements may have more reason to be optimistic than ever before. This isn’t just post-election spin to try to make progressives and leftists feel better: It's undeniable that Chicago progressives have made serious headway on multiple fronts. All eight members of the city council's Progressive Caucus up for re-election won, and at least two new caucus members were elected. Three additional candidates who would join the caucus, Milly Santiago, Tara Stamps, and Sue Sadlowski-Garza—the latter two both rank-and-file CTU members—were in races that were too close to call as of late Tuesday night. The caucus often supplies the lone “no” votes to Emanuel’s agenda in a sea of rubberstamp aldermen. While the caucus's members can sometimes be unreliable, for anyone who doesn't want to see the mayor's neoliberal measures glide through a 50-member city council completely unchallenged, the results are heartening. 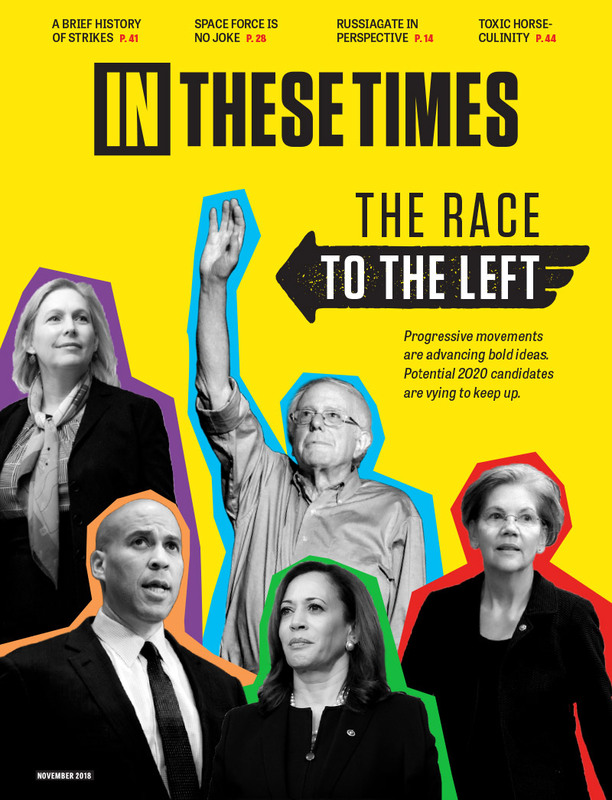 What's more, as I explained yesterday in The Nation, those progressive unions and community organizations have formed a new political organization, United Working Families, that seeks to train and run long-term movement activists as candidates and create a political home for themselves outside of the Democratic Party. They are currently mulling whether to form a local third party and have created several neighborhood-level "independent political organizations" that could experiment with what such a politics might look like—one of which may come from the leftover campaign infrastructure of Tim Meegan, another rank-and-file CTU teacher who ran for office, losing by less than 20 votes despite being a first-time candidate up against a legendary Chicago political machine family. Candidate shortfalls aside, it's also important to recognize that Chicago has never seen anything like this mayoral campaign. No incumbent mayor has ever been forced into a runoff. Even competitive mayoral elections are rarities. This is an achievement for a political coalition that was vastly outspent and testing out a movement-based electoral model for the first time. Yes, Chicago's movements endorsed a mediocre candidate for mayor and failed to elect him. But that movement wasn’t relying on a Garcia victory: It focused on other political offices that can shore up progressive political power in the short term, and laid the infrastructure for a new independent politics in the longer term. Garcia could never quite figure out what time it was in Chicago. But the city's movements have operated under a strong sense that the time is theirs. Taking stock of those movements' accomplishments after last night's elections, it seems it still is. The political epitaph for the Garcia campaign should read: No new voter registration + 1000 new cops. Chuy is not an inferior candidate. All you uber progressive purists, take a chill pill. Thanks Micah for throwing Chuy under the bus, wrongly. I went to UIC with him and had classes with him. He is articulate and personable. Chuy is a politician. He is center-left. The problem was he did not talk about his plan in the second round like he did in the first-a progressive income tax. I believe his handlers like Don Rose were thinking be vague, look statesmen like (it worked for Rauner but he had $60 million to get away with it) etc. They did not want to give Rahm the opportunity to bash him if he put specifics out there but Rahm was going to do that anyway. So keep talking about the graduated income tax as a way to solve the pension crisis , if Mayor 1 percent comes back at you, sock it to him for protecting his rich buddies. I think lack of some specifics may have costed him at 25,000 votes. Chicago is the loser for putting this lair and callous man back in office. When the people get organized, then they have the power. Politicians are then reduced to actually obeying their sovereignty. I can't speak authoritatively about Garcia's campaign and how he handled himself. But, I did see his appearance in his last debate on the local channel. He was great; articulate and quick to explain his positions and Emmanuel's errors as he saw them. Perhaps E.W. Smith's comment below has merit - it certainly parallels the time frame of my comment. So sad that you have to live or work in Chicago. May your future be happier than that miserable life. Is it possible to escape, or do they still have the city gated in? Good piece. I'd just add that some of the mediocrity you ascribe to Chuy was--and this is something I've heard from a number of sources--kind of forced upon him by his campaign handlers. People close to him were urging him to simply be himself, which he was starting to do more towards the end. But by then it was too little, too late. I sincerely hope Micah is right about the progressives laying the ground work to turn Chicago around. Sadly, I have read such prognoses before after an election loss, and I have yet to see the progressives actually capitalize on such infrastructures in a city the size of Chicago into victories. Even New York's "progressive" mayor is turning out to be another disappointing center-right leader a la Bill Clinton and Barack Obama.